It's Valentine's weekend and, as I've previously mentioned, the theme is less about romance around these parts and more about sharing love of all kinds. There's been a lot of love in the air this week in general. From a meal out with a bestie I hadn't seen in too long, to glitter covered cards from my girls to a surprise package in the post from Netflix which contained the softest, snugliest blanket everrrrr. Then, today there was a Valentine's cake-sale in school. The kids were stuffed full of chocolatey, sugar-loveheart festooned sweets and treats. It alone would have kicked the weekend off in marvellous style. But, after school, as we gathered as usual in my grandmother's house we celebrated a birthday too - which meant there was more cake and more treats and a lovely gang of some of my favourite people to hang out with. 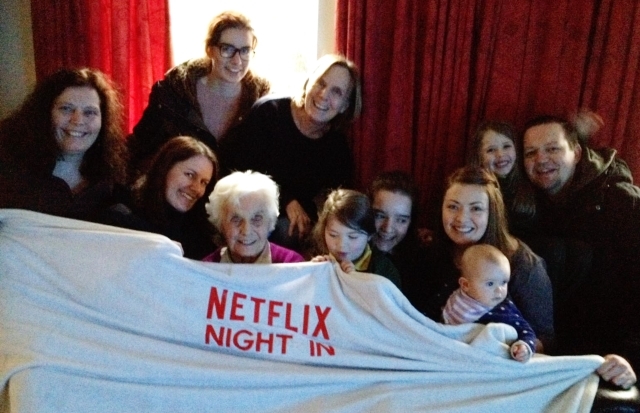 I grabbed the opportunity to force them all to snuggle together under the magical #NetflixNightIn blanket for some family-bonding time! 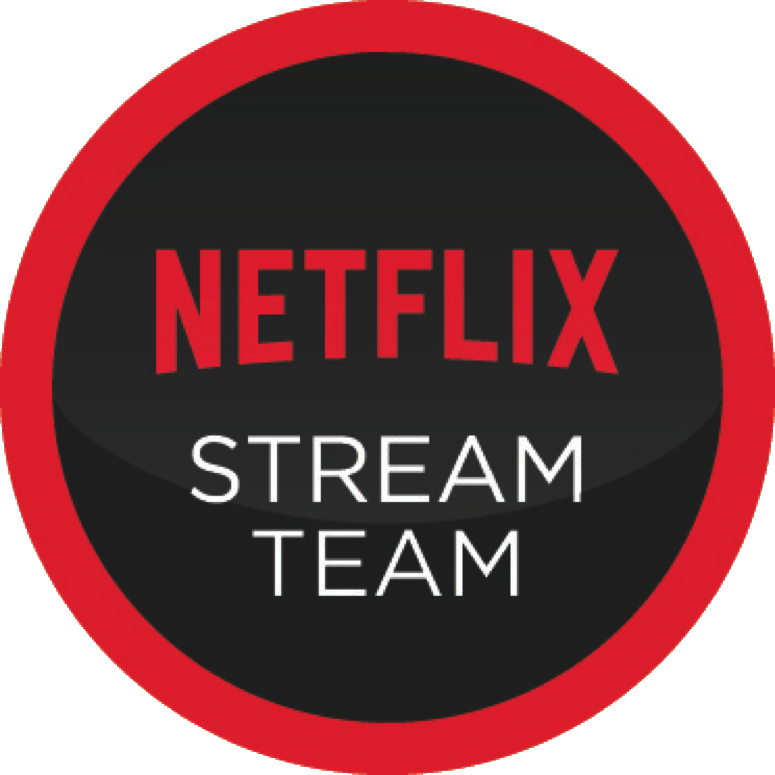 One of the best things about Netflix is that it caters to such a wide range of tastes. You'll find things to suit the whole family - no matter what their age. And, as there are always new additions to the listings - you'll never get bored. One of my favourite books in the world come to life?! I didn't even know this existed in a screen format, so I am really excited to see it. The first record I ever owned (yes, vinyl record... I am that old...) was the Muppet Show album and ever since, I have been a lifelong fan. Cannot. Wait. To. See. This. Classic Disney? Cats? Is there anything not to love? I caught the beginning of this movie on TV over Christmas and was so annoyed that we were going out and I had to miss the rest of it as the girls and I were really enjoying it. I actually looked it up on Netflix the next day and was disappointed to find it wasn't there. I'm delighted it's being added soon so I can see what 'happy ever after' there was! Whatever you're doing this Valentine's weekend, I hope you're as surrounded by love as I am lucky enough to be. Oh, and don't forget to enter my latest LOVE-ly giveaway HERE! and I am not being paid to give them. 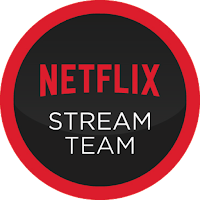 I already had a personal subscription before joining the Stream Team. This post and the family photo is part of a competition entry. Big thanks to my family for humouring me and letting me snap them, I promise if I win the 'swag' I'll share it with all of them! Thanks! I even have one. Still in it's box!